coloredsparklers have become the most sought after jewels. Stars are increasingly opting for vivid rocks, with engagement rings flashing diamonds that range from delicate pink, Blake Lively's choice, to gorgeous canary yellow as seen on Kelly Clarkson. Mouawad's glamourous yellow diamond engagement collectioncaptures this very modern trend, sparkling with warmth, shimmer and elegance. 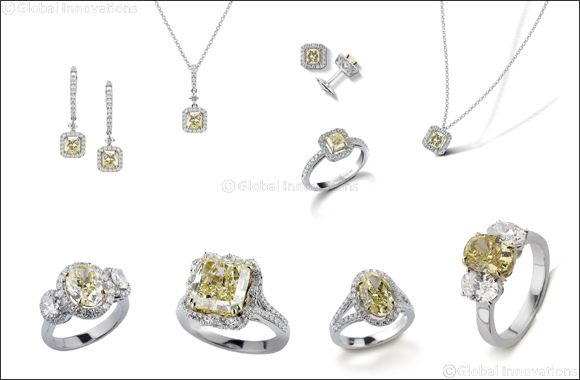 Exceptionally beautiful and graceful, the range of earrings, rings and pendants putthe uniqueyellow diamond at the centerof an artistically wrought 18k white and yellow gold setting. The results are irresistibly romantic, luxuriousand a la mode. There's no better way to celebrate summer love. For more than a century Mouawad has been creating jewelry of unsurpassed beauty. Mouawad pieces are worn by royalty, celebrities and collectors, and are coveted by all for their masterful design, superb quality and breathtaking refinement. Today Mouawad is a globally reputed brand that continues to set the trends and capture the hearts of generations, with styles, hues and designs that become an intrinsic and treasured part of life's most precious and memorable moments.